When you’ve got a creative mindset and a talkative personality, sometimes it’s difficult to know what to do with it, especially when it comes to finding a career. But what if we told you that being outgoing, chatty and creative is perfect for a career in the exciting world of communication, advertising and marketing? Working as an account manager, you'll be the vital link between NEW AGE and its clients. If you’re dynamic, creative, and motivated, this is the ultimate job for you. 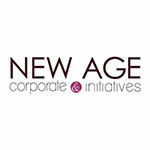 Send your CV via recrut@newage.tn and join THE NEW AGE TEAM. Let your imagination be your guide! Life as a designer allows your creative personality to thrive as you bring to life either your own ideas or those of a client. NEW AGE is looking for an awesome talented graphic designer to join THE TEAM. NEW AGE is looking for an energetic and insightful Digital Planner to join our growing team.